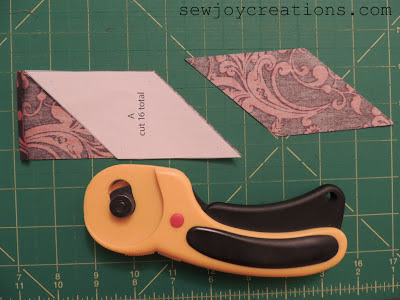 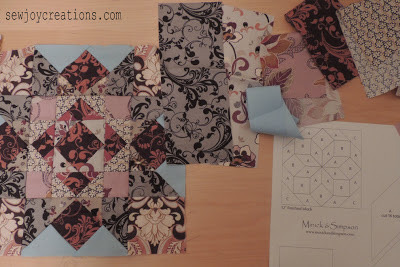 I'm looking back at March's block for fabric placement ideas this month. I cheat a little bit with templates. I always measure more than twice, but the speed is worth it. Pieces are all cut and laid out. 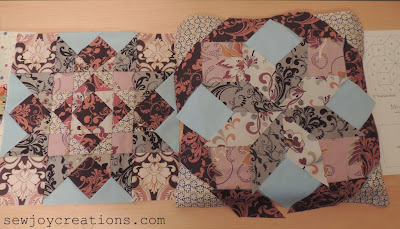 But instead of looking similar there is some tension between these blocks. 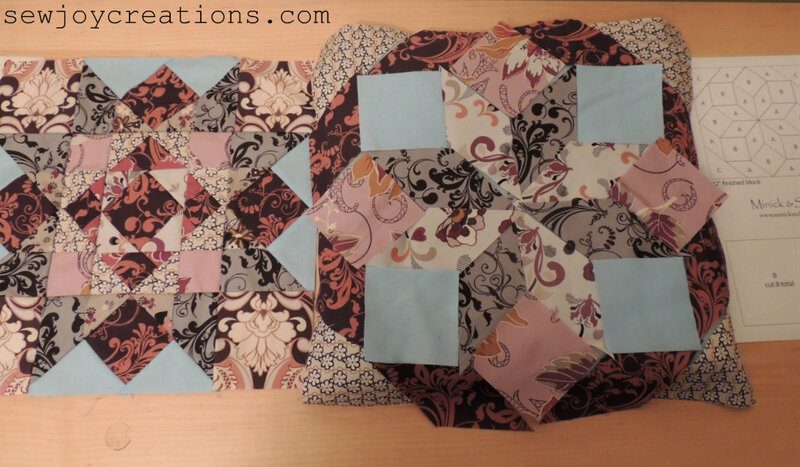 Changing the positions of the blue and pale purple squares makes all the difference - it gives the block a background. Aurifil BOM flickr pool - some people are already done! 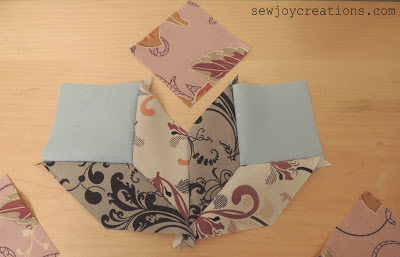 a fairly technically challenging block but you have created a lovely block with your placement of fabrics!